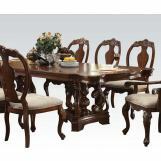 The Frederick Collection by Acme Furniture has the look of treasured antique but not pricey. 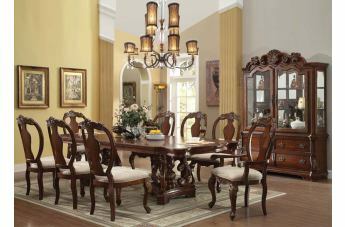 This collection features cherry veneers and detailed dark metal ring pull hardware. 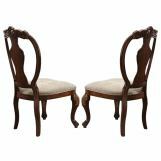 The cherry finish is complemented by a beautiful arabesque design ornamenting the arm & side. 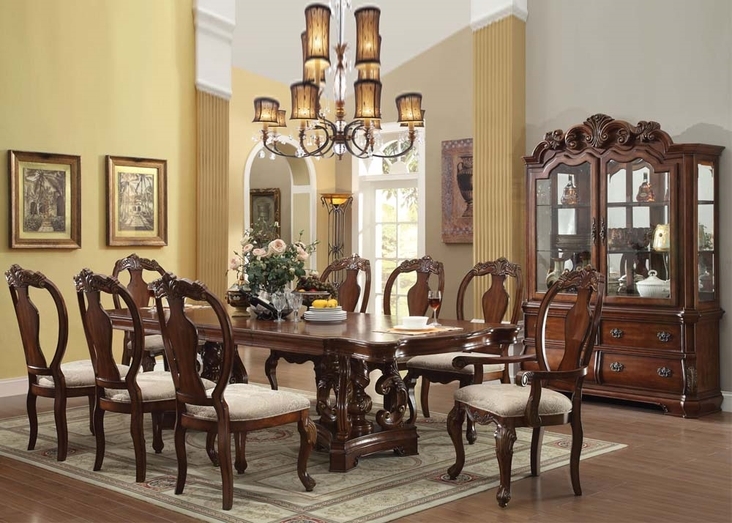 This stunning Frederick collection is the ideal focal point for any formal dining area. 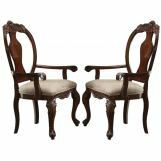 It features an intricately carving design on pedestal and clean smooth table top with unique edge styling while the side and arm chairs offers an intricately Queen Anne leg design, urn back chair details and selected pattern on seat cushion.